You’ve Been Googled – Web Presence Esq. Google yourself. Go ahead, try it — We dare you. After all, that’s what a majority of your potential clients are doing before they even decide to call you. Be assured that when a potential client Google searches your name or your firm’s name, what is there can have just as large an impact as what is not there and will affect whether your services are retained. 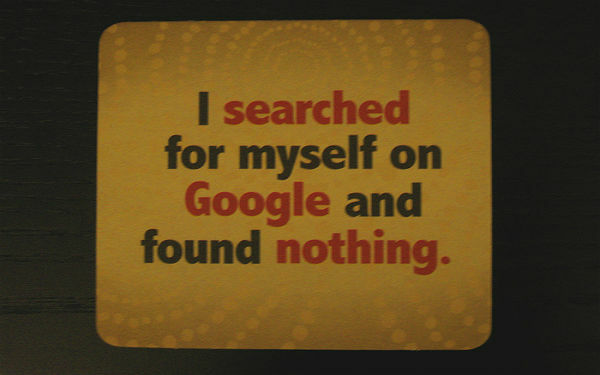 Now that you’ve Googled yourself (using the name most likely to be searched by, be honest! ), how do you feel? Are you more or less secure in the belief that a person seeking legal services who has never met you before is likely to call you for a consultation? A strong Web Presence for lawyers will go a long way toward peace of mind and bringing in new business. Sometimes Google shows us something we would rather not see and that we pray a potential client never sees. An unflattering Avvo review, an untruth on RipOff Report… Unfortunuately, once it is on the web it is likely there to stay. Any potential client worth his weight in technology (and performing his due diligence) will find it and will hae no way of knowing what to or what not to believe. Your option? Build your Web Presence and your positive references and push a negative review or mention down to page 3 or 4 or … 27 of a Google search. WebPresence, Esq. is a cutting-edge Web Presence Management company built by attorneys for attorneys. Our team of lawyers understands that one negative review can have a lasting impact on your business. We will manage your online reputation, ensuring that your carefully-crafted name remains in good stead and/or returns to its former glory. For more information about our services, contact WebPresence, Esq. at www.WebPresenceEsq.com today.